Conveniently located off the All American Freeway, the Affordable Suites Fayetteville/ Fort Bragg hotel in Fayetteville, NC features a unique combination of hotel and apartment style living. This Fayetteville hotel is in one of the most popular areas of the city, known for being the home to Fort Bragg and Pope Air Force Base. Enjoy easy access to popular attractions including downtown Fayetteville and the Crown Center Coliseum, the Cross Creek Mall and other great shopping destinations. Corporate travelers will appreciate the hotel's proximity to many local businesses and major corporations. Companies that our Fayetteville NC Hotel are close to include: Cape Fear Valley Medical Center Walmart Distribution Goodyear Tire & Rubber Co. Purolator Filters Eaton Corporation M.J. Soffe AT&T Mobility DuPont Maidenform Brands Inc. The Logistics Company Our hotel in Fayetteville is an all suite facility featuring one bedroom apartment style suites. Each suite boasts separate bedroom and separate living area. Enjoy a full kitchen featuring refrigerator, stove with oven and microwave. Our suites also offer free high speed wireless internet access and expanded cable with HBO. Our facilities are also equipped with a guest laundry facility and workout room. Our open air courtyard offers guests a "guests only" secured area to relax, unwind and is equipped with outdoor grills. 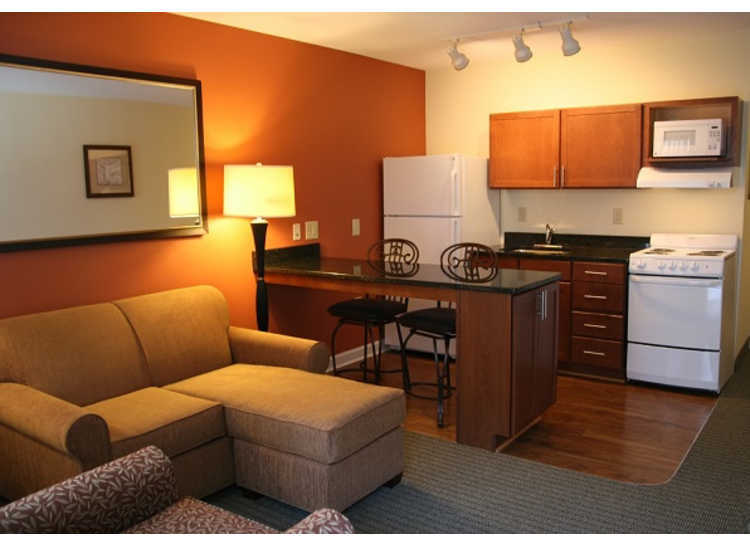 Our long and short term Fayetteville temporary housing offers a quick and easy registration. 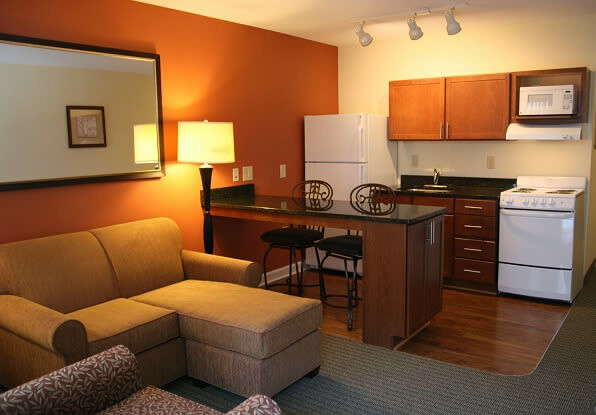 Affordable Suites- Fayetteville NC offers fully furnished and equipped housing where move-in is stress free. We make it simple for you! The Affordable Suites of America Fayetteville, NC location is primarily an adult community and although we love animals, we do not accept pets.